MOSCOW, April 25. /TASS/. 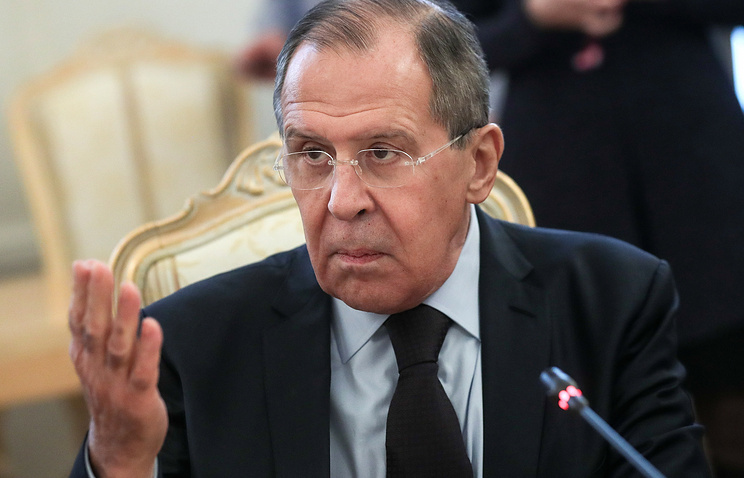 Washington’s statements alleging that Russia supplied weapons to Afghanistan’s Taliban, are aimed at diverting attention from US plans for Syrian regime change, Russian Foreign Minister Sergey Lavrov said on Tuesday. "I consider it to be an attempt to divert attention from some plots concerning the Syrian issue. Our suspicion in this regard has been growing lately," the Russian top diplomat noted. "We can see that some of our counterparts wish to abandon the United Nations Security Council resolution on a political settlement based on intra-Syrian dialogue. Instead, they seek to return to the good old methods of regime change," Lavrov added. "Of course, we will oppose these attempts," the top diplomat stressed. Washington’s allegations that Russia is supplying weapons to the Taliban are unprofessional and untrue, Lavrov emphasized. "As for allegations about our supplying the Taliban with weapons voiced by Washington’s military brass and from US commanders in that region, including Afghanistan, these are unprofessional declarations based on nothing," Lavrov stressed. "No matter what negativity might be hurled at Russia now, not a single piece of evidence to these assertions has been offered." "I am confident that those in the United States who are paid for supplying their national leaders with reliable intelligence know only too well that these allegations are untrue," he noted. "These people, I am confident of that too, know who arms and support the Islamic State (terror group outlawed in Russia) in Iraq, Syria, and, of course, in Afghanistan where the Islamic State has already taken root. I think they know it too." 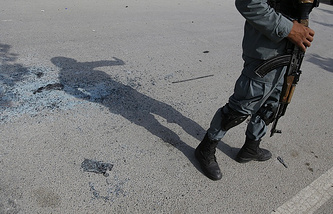 Lavrov has called on Afghanistan’s Taliban to end armed confrontation and join the process of nationwide dialogue. "We now call for one simple thing: the Taliban must join the nationwide dialogue on the basis of criteria endorsed by the United Nations at the request of the Afghan government," Lavrov stressed. The Russian foreign minister drew attention to the statement by a US official who said that Washington is also ready to let the Taliban take part in the nationwide dialogue if it stops violence and breaks with terrorism. "It means that the US official did not refer to respecting the constitution as a criterion. So, it’s up to you to draw conclusions," he noted. "It is very difficult to hope for national reconciliation in Afghanistan unless dialogue is based on these principles," Lavrov said and called on the United States to stop seeking to shift the blame but instead consolidate with others to help the Afghans build their dialogue on the basis of criteria of the United Nations Security Council resolution. "Two weeks ago, an international meeting on Afghanistan was held. We invited US representatives to take part in it, but they refused saying that their Afghan policy was only being shaped," the Russian top diplomat said. "As the logic goes, once they are only shaping their policy it would be right to heed other parties involved in the Afghan settlement. But the US opted not to delegate their representatives to Moscow." It seems to be part of the US’ strategy to seek to accuse Russia of breakdowns of Washington’s policy in Afghanistan, according to Lavrov. "Partners never behave like this. And it is unclear why they are trying to justify the mistakes NATO's mission made under the Obama administration. It looks strange," he emphasized.